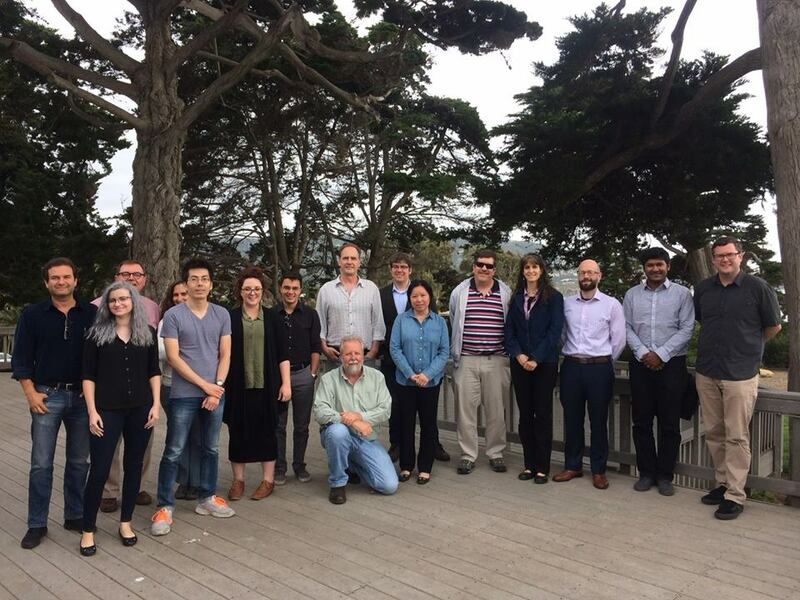 The 1st Atmospheric River Tracking Method Intercomparison Project (ARTMIP) Workshop was recently held at the Scripps Institute of Oceanography in La Jolla, CA. The participants consisted of an ad-hoc group of researchers working to identify and track atmospheric rivers (ARs), elongated regions of atmospheric water vapor transport that contribute significantly to high-impact weather events and hydroclimate. The American Meteorological Society has recently accepted a qualitative definition of what constitutes an AR, but many differences in AR identification and tracking algorithms exist. One goal of the meeting was to discuss key science questions that arise from these methods – most of these are questions related to uncertainty regarding AR climatology, the relationship between ARs and precipitation, and how these may be altered under future climate change scenarios. Another goal of the meeting was to reach consensus on common data sets and metrics to facilitate a quantitative comparison of these AR identification and tracking methods. The 1st ARTMIP Workshop was a resounding success, featuring ~20 participants from a wide variety of institutions. ARTMIP participants agreed upon a two-tiered structure for the project. Tier 1 describes the core of the ARTMIP project – common metrics that all participants have agreed to pursue. This analysis will be based on participants applying their AR identification and tracking methods to a common reanalysis data set (MERRA version 2) a period of record (1980-2016), with selected years and/or individual events also investigated. Data provided by each participant will be used to produce global and regional analyses of AR climatology and contributions to precipitation. Tier 2 describes a wide range or related analyses that will be conducted by subgroups within ARTMIP. Analyses will focus on addressing specific science questions such as how and why AR climatology varies in different regions, what are the relationships between AR and precipitation extremes, and how much do ARs contribute to poleward moisture transport globally. The group will produce at least two papers based on Tier 1 metrics. The first will be submitted to Geoscientific Model Development (GMD) and will describe the Tier 1 experimental design and possible Tier 2 projects, as well as invite the wider community to participate in the ARTMIP. Christine Shields of NCAR will lead this paper, which will be written in the very near timeframe (mid 2017). The second paper will describe the comparative results across methods for AR climatology that are obtained through the Tier 1 analysis. Jon Rutz of the NWS will lead this paper, to be submitted to BAMS (or a similar high-profile journal) in about a year (mid to late 2018). There are multiple Tier 2 analyses to be performed and these will comprise several additional papers. While Tier 1 focuses on uncertainty amongst the different tracking method algorithms, Tier 2 will explore other sources of uncertainty, such as the uncertainty that arises from different reanalysis products (ERA-interim, NCEP, CFSR and JRA55) and the uncertainty that arises in future climate change projections of ARs. We have at least three proposed Tier 2 analyses focusing on climate model products. The first is to compare 25, 100, and 200 km CAM5 All-Hist (cesm1_0_3) output from the C20C+ Sub-project on Detection and Attribution (portal.nersc.gov/c20c) to explore uncertainty across model resolution. This is a different issue than the simple coarsening of the reanalysis data. The second climate model Tier 2 analysis is an actual climate change experiment that will analyze the historical and rcp8.5 25 km CAM5 simulations produced for the C20C+ (high-resolution is likely to be very important in replicating atmospheric river climatology and properties). A third experiment is to analyze CMIP5 ensemble results to explore structural uncertainty of projected changes in AR statistics. However, this is contingent on obtaining the large volume of data that must be downloaded from the ESGF. As has seen before, high frequency data can take months to assemble from the ESGF. Jon Rutz (NOAA/NWS) and Christine Shields (NCAR) serve as ARTMIP co-chairs, while Michael Wehner (LBNL), Ruby Leung (PNNL), and Marty Ralph (UCSD) serve with them on the project committee. A second ARTMIP workshop will be held in mid- to late 2018 to discuss the results of the intercomparison and the implications for the science of Atmospheric Rivers. Workshop Participants (left to right): Sasha Gershunov, Beth McClenny, Roger Pierce, Anna Wilson, Bin Guan, Ashley Payne, Juan Lora, Duane Waliser, Marty Ralph, Paul Ullrich, Ruby Leung, Michael Wehner, Christine Shields, Jon Rutz, Aneesh Subramanian, Scott Sellars.